Inside Turtle Bay's Crawley restaurant. Turtle Bay, the Caribbean-themed restaurant chain, looks set to open in Peterborough. It was founded by Ajith Jayawickrema, who previously launched the Las Iguanas chain. It serves starters inspired by beach shacks and street hawkers across the Caribbean islands, one pot dishes - rich, slowly simmered and uniquely Caribbean - served with traditional rice ‘n’ peas and either roti or Caribbean dumplings, not to mention flame-grilled dishes from the jerk pit barbecue. Behind the bar you are likely to fin more than 40 rums sourced from across the Caribbean, perfect for sipping and cocktails. 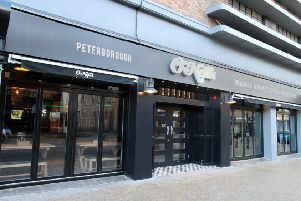 A spokeswoman for the company could not confirm or deny an impending opening in the city, but Turtle Bay is currently advertising to recruit a “passionate and experienced” general manager for a new opening in Peterborough.